Renewal by Andersen® of Montana provides top-notch window replacement services in Billings MT, the largest city in the state and home to 166,000 of our proud neighbors. As the seat of Yellowstone County, Billings is on a path of rapid growth with a booming economy. We’re happy to be a part of that momentum, and we’d like to be a part of your home improvement plans. Our replacement windows and patio doors can help to increase your home’s curb appeal and energy efficiency. To accomplish that you need look no further than our company, the local, experienced provider of windows in Billings MT who is your exclusive representative of Renewal by Andersen®. Not only are our products protected by one of the strongest warranties you will ever find*, they give you unmatched value when it comes to energy efficiency. Customer satisfaction means everything to us. In fact, we strive for your 100 percent satisfaction with replacement windows that are proven to be the best. They’re crafted to withstand challenging Montana weather conditions, thanks to glass construction certified for durability by the world’s leading organizations of insulating-glass engineering and manufacturing as well as Renewal by Andersen’s exclusive Fibrex® frame material. Plus, Renewal by Andersen’s High Performance™ Low-E4® SmartSun™ glass is 70% more energy efficient in summer and 45% more energy efficient in winter as compared to ordinary dual panel glass**. It’s time to rely on our qualified team of factory-trained experts who take precise measurements to ensure a perfect weather-tight fit. We are proud to say we have worked closely with thousands of homeowners just like you over the years. Why not make that call today? We are ready to outfit your home with new windows and doors. Renewal by Andersen of Montana, located right in Billings at 2601 Overland Ave, Suite 2, can be reached (406) 259-3944. Be sure to call us for your free estimate and no-obligation consultation. 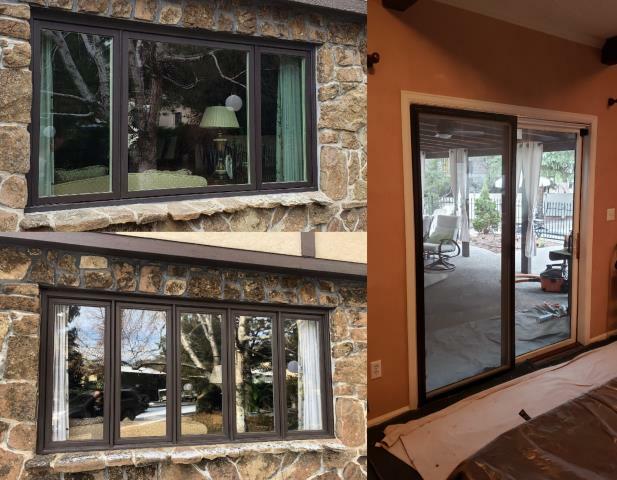 Our professional installers replaced 2 wood brick mold windows and an old patio door on this beautiful home in Billings with Fibrex windows with brick mold casement and a new gliding door, all finished with Andersen trim. 1980 home gets a facelift from Anderson door to new Renewal by Anderson fibrex 3 panel door with customer's trim in Billings! 1980 home gets a facelift from Anderson wood casement to new Anderson fibrex sliders in Billings!